I am an assistant professor in the Department of Politics at the Centro de Investigación y Docencia Económicas (CIDE) in Mexico City. I am also an Academy Scholar at the Harvard Academy for International and Area Studies. I received a Ph.D. in Government from Cornell University in 2017. My interests include state-building, the politics of inequality, and historical institutional development, with a regional focus on Latin America. My current book project examines historical state formation in Mexico and Colombia to investigate the origins of territorial variation in several dimensions of state capacity. My research has been awarded by the American Political Science Association (APSA) and supported by grants from Fulbright, the Mexico National Council of Science and Technology (CONACYT), and the Social Science Research Council (SSRC). Why do states develop more effective authority in some parts of their territory and domains of governance than in others? Despite the importance of state capacity for political order, economic development, and equal access to citizenship rights, the rise of effective states and the causes of chronic institutional weakness are not well understood. Moreover, few studies have sought to systematically explain the vast differences in state capacity that exist within countries, although this unevenness is a defining feature of many contemporary states. This project examines the historical foundations of state (in)capacity in Mexico and Colombia from a subnational perspective. It presents a theoretical framework to explain variation in the state’s ability to perform core functions within its borders, centered on the impact of historical political cleavages on the process of state formation across territory. I argue that the structure of political conflict between state-building coalitions and their rivals during formative periods of the state shapes spatial patterns of institutional development and receptiveness to state authority. Different types of state-society relations emerge across territory during these critical periods of state-making, depending on who builds the state, for whom, and how. Subnational patterns of societal compliance or resistance to early state-building projects, in turn, have enduring effects on the strength of state institutions and state capacity outcomes along various dimensions. As a result, the geography of state power reflects historical lines of conflict. I test the argument using within-country historical analyses, case studies, and novel historical datasets compiled through extensive archival research in both countries and covering several core dimensions of state power, including taxation, coercion, and public service provision. Drawing on original and highly disaggregated data, the analysis shows that insurgency along a religious divide in the aftermath of the Mexican Revolution systematically and enduringly affected the state’s ability to exercise uniform fiscal authority, monopolize violence, and provide routinized order. 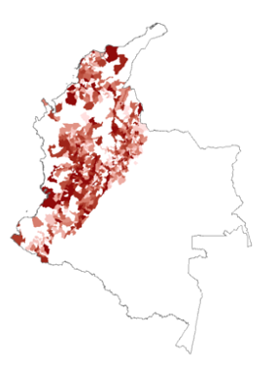 It also reveals that patterns of state capacity development in Colombia followed a partisan logic, with decisive periods of state-building under the Liberal Party leaving a legacy of lower institutional capacity in more Conservative areas. I demonstrate that these eminently political factors matter in explaining domestic variation in state strength, even after accounting for differences in socioeconomic development, geographical conditions, preexisting levels of state capacity, and other variables. The study has important implications for our understanding of the process of state formation across geographic space, the origins of state capacity, and the political roots of institutional weakness. Elections and the Economic Cycle. In The State of Mexican Democracy in an Era of Broken Expectations. Mexico City: Siglo XXI Editores, 2018. Clientelism and Voter Coercion. In The State of Mexican Democracy in an Era of Broken Expectations. Mexico City: Siglo XXI Editores, 2018. Suffrage Restrictions and the Reach of the Nation-State. Legacies of Revolution: Peasant Militias and the Rule of Law. Political Institutions (Fall 2018, undergraduate). Comparative Political Economy (Spring 2019, graduate seminar). Review of Violence and Crime in Latin America: Representations and Politics, David Carey Jr. and Gema Santamaría (eds). 2018. Bulletin of Latin American Research 37, n.5 (November). The Future of Mexico under AMLO. July 2018. Foreign Policy Research Institute. Lo que está en juego en las elecciones de México. May 2018. 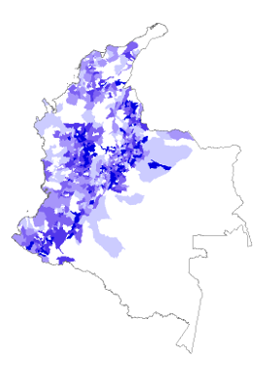 Misión de Observación Electoral, Colombia.